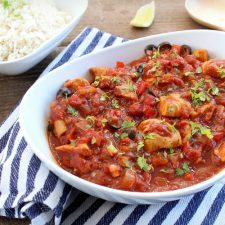 Peruvian Chicken | This Is An AMAZING One-Pot Taste Sensation! This is an amazing one-pot dish for a Peruvian inspired chicken recipe. The spice and flavour combination will be unlike anything you’ve tried before! 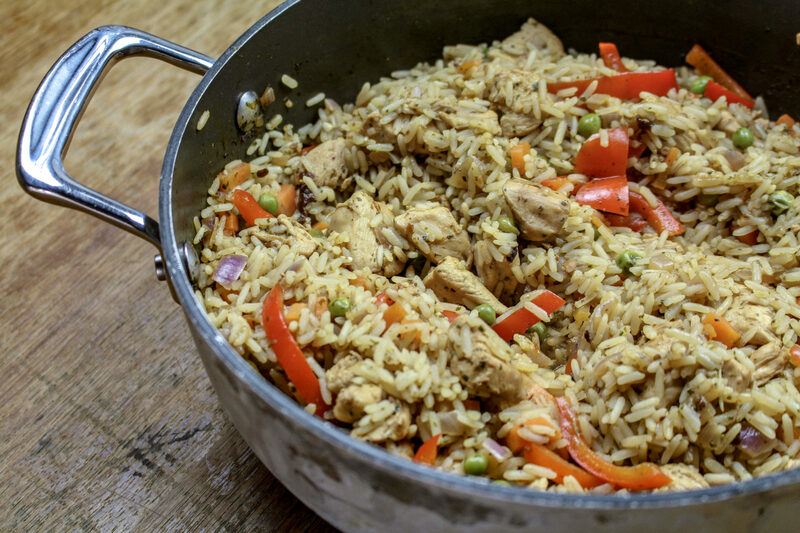 This is an amazing one-pot dish for a Peruvian inspired chicken recipe. The spice and flavour combination will be unlike anything you've tried before! This is Neil's favourite recipe of all time. Who's Neil? He is one of our awesome nutrition coaches inside the Fat Loss Inner Circle. He's done well, this recipe is a treat. Now Neil has been trying to recreate this recipe for some time. His lovely wife is Peruvian and he is often over there on holiday. So he wanted to create a Peruvian recipe that captured the South American flavours that we could make over here in the UK. The super authentic, real deal version of this recipe uses aji amarillo paste (yellow chilli) but that's near on impossible to find outside Peru. However, you can use smoked chilli paste instead and it adds some strong spice and a depth of flavour. We often use Gran Luchito Chipotle Chilli Paste which you can get on Amazon here or in most supermarkets. 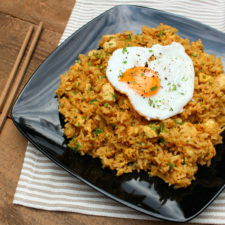 If you can't get hold of that, just use some chilli powder or flakes that you have in the cupboard. The bottom line is that you need to make this dish, the flavour is probably unlike anything you've ever had before! 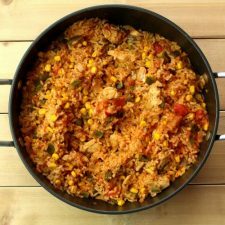 If you're a fan of the Chicken Jambalaya or One-Pan Enchilada Rice then you're going to love this one! Heat the oil in a large pan and season the chicken with salt, pepper and 1 tsp of cumin. Add the chicken and brown for around 5 minutes then remove from the pan and set aside. Add the garlic, carrot, onion, chilli paste and the other tsp of cumin to the pan and fry for a few minutes. Meanwhile add the coriander (stalks included) to a blender with 100 ml of the beer and blitz. Once the veg have started to soften add the chicken back to the pan along with the blitzed coriander, the red pepper and rest of the beer. Simmer for a few minutes to allow the alcohol to burn off. Finally add the peas, rice and stock, mix everything through and simmer for around 30 minutes until most of the liquid has been absorbed and the rice is cooked through.